Written by the author of the best-selling HyperText & HyperMedia, this book is an excellent guide to the methods of usability engineering. 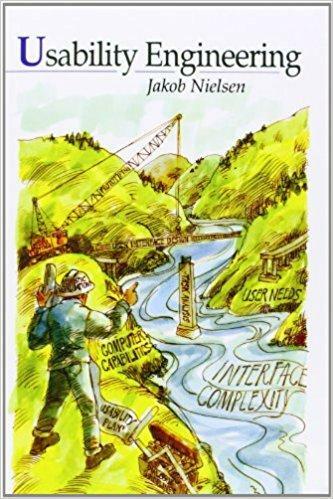 The book provides the tools needed to avoid usability surprises and improve product quality. Step-by-step information on which method to use at various stages during the development lifecycle are included, along with detailed information on how to run a usability test and the unique issues relating to international usability. * Emphasizes cost-effective methods that developers can implement immediately * Instructs readers about which methods to use when, throughout the development lifecycle, which ultimately helps in cost-benefit analysis. * Shows readers how to avoid the four most frequently listed reasons for delay in software projects. * Includes detailed information on how to run a usability test. * Covers unique issues of international usability. * Features an extensive bibliography allowing readers to find additional information. * Written by an internationally renowned expert in the field and the author of the best-selling HyperText & HyperMedia.